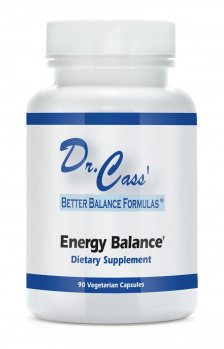 Natural Brain and Mood Support Formula, now enhanced with Huperzine A and Vinpocetine. 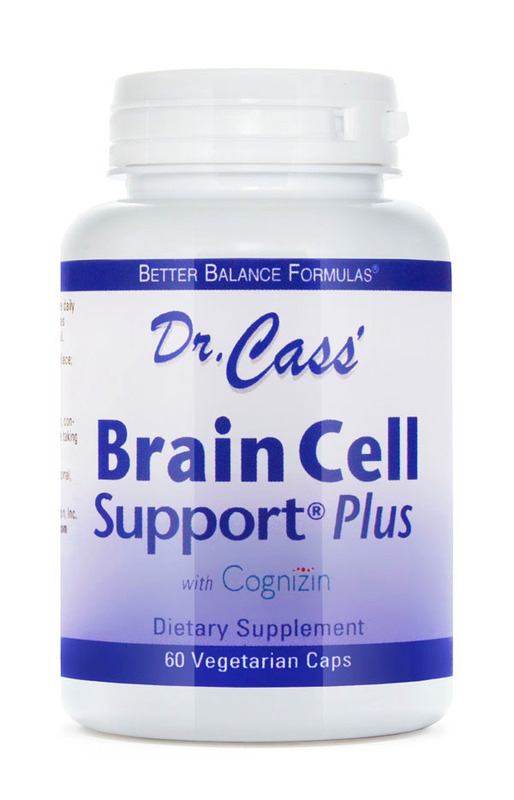 Brain Cell Support Plus™ was designed to support optimal brain health and mood. In addition to Acetyl-L-Carnitine (ALC), Brain Cell Support Plus contains Cognizin®, a potent brain-health nutrient clinically shown to support mental energy, focus, attention and recall. * Brain Cell Support Plus also provides Phosphatidylserine, DMAE and two well-researched brain-supporting botanicals – Ginkgo Biloba and Gotu Kola – to support healthy neurotransmitter production and circulation. * Two additional natural compounds – Huperzine A and Vinpocetine – support memory and cerebral blood-flow. 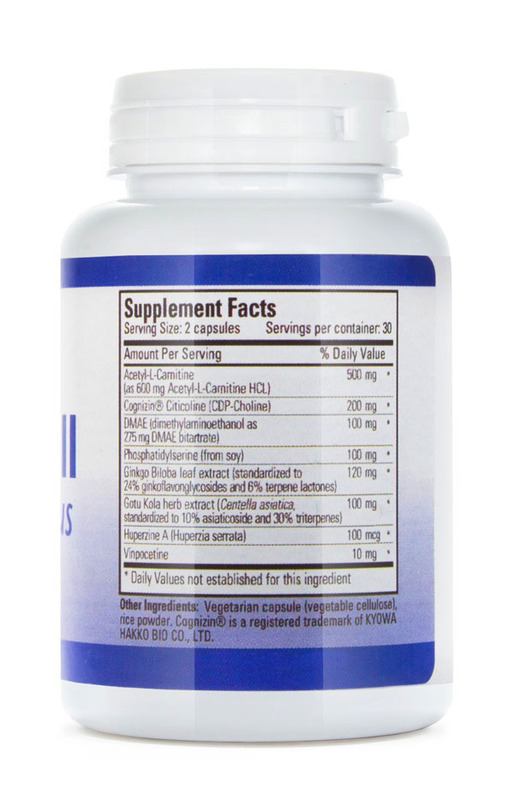 Acetyl-L-Carnitine (ALC) is a cognitive enhancer and neuroprotective agent that protects against a wide range of age-related degenerative changes in the brain and nervous system. 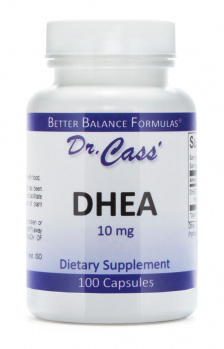 DMAE crosses the blood brain barrier, and is converted to choline, a precursor to acetylcholine, the memory neurotransmitter. 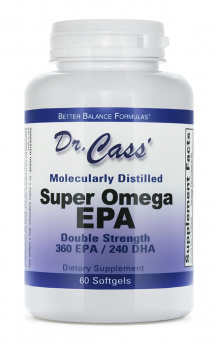 Studies with DMAE have demonstrated improvements in mood and behavior in older adults. 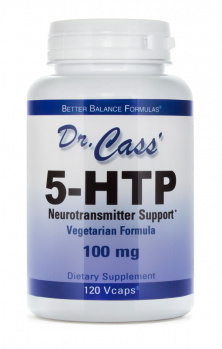 Phosphatidylserine (PS) is a naturally-occurring phospholipid nutrient that improves brain function. Supplementation with PS has been proven to slow, halt, or in many cases, even reverse cognitive degeneration that often occurs with age. Ginkgo biloba protects brain cells from damage caused by free radicals while improving blood circulation and oxygen delivery through the microcapillaries. Gotu kola (Centella asiatica has been used around the world for centuries to treat nervous disorders, epilepsy, senility and premature aging. It stimulates learning, memory and alertness, and can calm anxiety. In traditional Chinese health customs gotu kola was referred to as the “fountain of youth” herb. 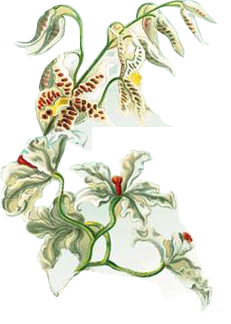 Huperzine A (from the Chinese club moss Huperzia serrata): improves memory and learning in healthy humans as well as those with dementia. 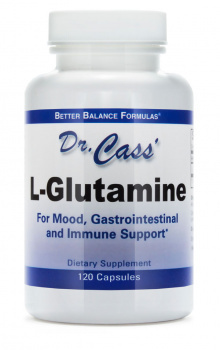 It prevents acetylcholinesterase (AchE) from destroying acetylcholine, the memory molecule. In one study, researchers found that 58 percent of Alzheimer’s patients experience significant improvement in both cognitive and memory function when taking Huperzine. Vinpocetine (from the periwinkle plant) is a powerful memory-enhancing nutrient that enhances cerebral metabolism and microcirculation, stepping up brain cell ATP (energy) production. It also selectively increases blood flow to the brain, particularly to impaired areas. Cognizin® Citicoline is a precursor to acetylcholine, a cholinergic neurotransmitter that declines with age. Citicoline is often called a “brain nutrient” because it increases levels of several important neurotransmitters including acetylcholine, dopamine and noradrenaline. It conducts nerve impulses within the brain, improving memory and learning skills, elevating mood, preventing memory loss in elderly adults, and increasing physical energy. 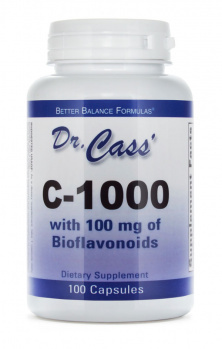 It also helps maintain the integrity of neuronal cell membranes – a function also performed by the phosphatidylserine in this formula. Citicoline and acetyl L-carnitine promote increased energy production in the brain, specifically in the frontal cortex. Supplementation with Citicoline has been shown to promote memory, attention, and behavior in mentally healthy older adults as well. 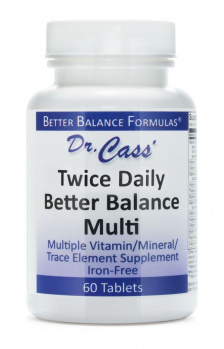 Directions:Two (2) capsules once to twice daily with meals as a dietary supplement, or as directed by a health care professional. 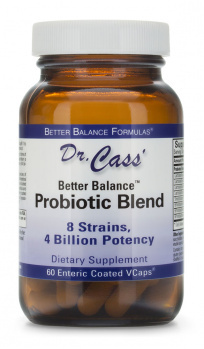 Other Ingredients: Vegetarian capsules. Cognizin® a trademark of Kyowa Hakko Bio Co, Ltd. Ordering was easy, delivery was quick. Ordered Brain Cell because it had ingredients in it that I was taking several other supplements to get. This allowed me to get rid of several bottles. By Susan B. and Mother Norma B.
Susan B. and Mother Norma B. Recently I started to notice that it was really hard to remember stuff while I used to be able to remember everything and now I could barely remember anything anymore... After taking this supplement I noticed a good improvement in memory function, I am not saying that my memory is perfect again but it did improve a lot... I am only taking this supplement for a month now so I hope it will keep doing what it is doing and that my memory will become perfect again as it used to be when taking this supplement a little longer... 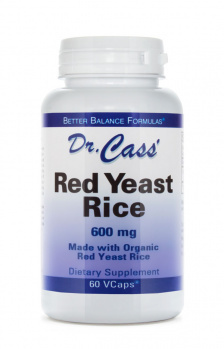 I would highly recommend this supplement to anyone that is struggling with this as well. These products are excellent! I feel a great equalibrium which I haven't had before. Also I have combined these suppliments with healthy living, diet and exercise. As a middle age man I am reclaiming my wellbeing and I now have much more energy, heart health, mental clarity and peace, gut health, a steady natural high. As a speaker and writer, I have to keep my brain sharp. 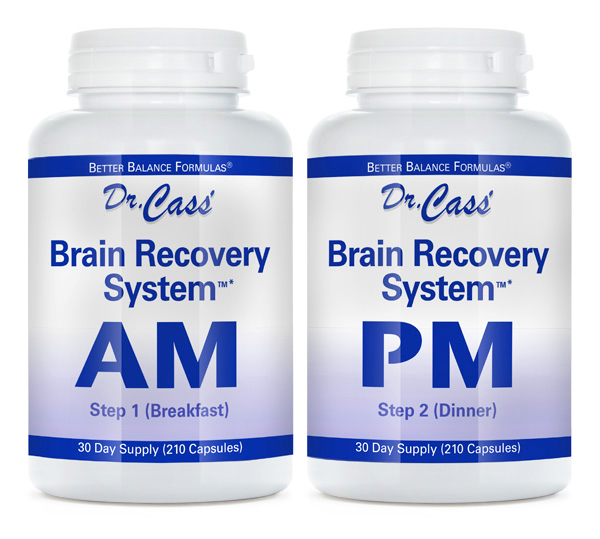 For the past year or so (I'm 60) and I noticed I was forgetting words, names, phone numbers, etc so I ordered your Brain Cell Support Plus formula. After a couple of weeks on it, 2 capsules twice a day, I found that I was remembering things far more easily, and my writing and speaking flowed more easily. I wasn't forgetting words or names, either. I plan on continuing to take it, and I thank you so much for making it available.